during the festival and all year long. 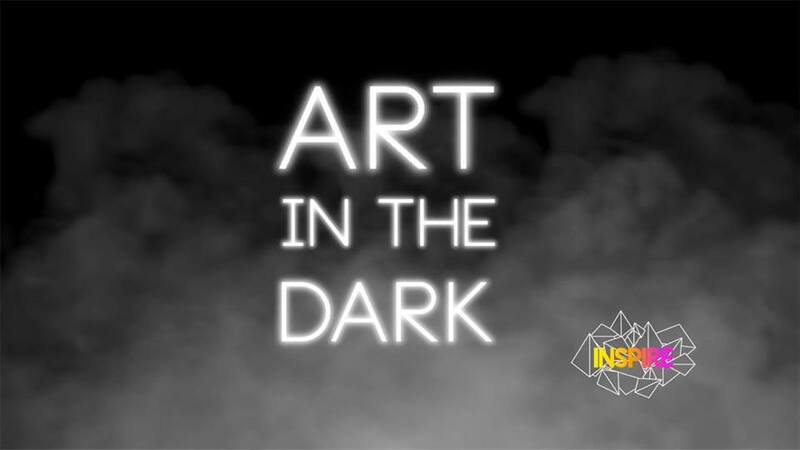 Art in the dark was Festival Inspire 2018 new project. On Friday from 8pm till 2am, people are invited to explore and rediscover Downtown Moncton, experiencing live art, creative installations and performances. Based on the model of the worldwide event ''Nuit Blanche'' this event was a HIT and will now be renewed every years. Just cuz we weren’t busy enough we thought we’d do this crazy little 2 day light and music festival to make your winter more fun, light up the city, and feature a series of fantastic music shows right in the middle of february. The City of Moncton wants you to have fun all year long and they’re a big partner on this one! 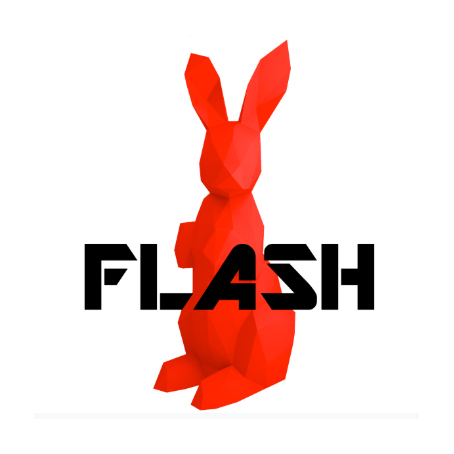 With the use of projection mapping, circus arts, skating, sledding, interactive installations, and whacky beautiful venues we present to you FLASH. Now you have a reason to invite your friends to Moncton in the winter. Mural, and a hammock village. It was packed! Our part of this larger event was designed to highlight the versatility of both our 30' Geodesic dome and the Ian Fowler Oval outdoor arena at the City of Moncton’s new (2018) event centre. It's almost 2017 and Canada 150! 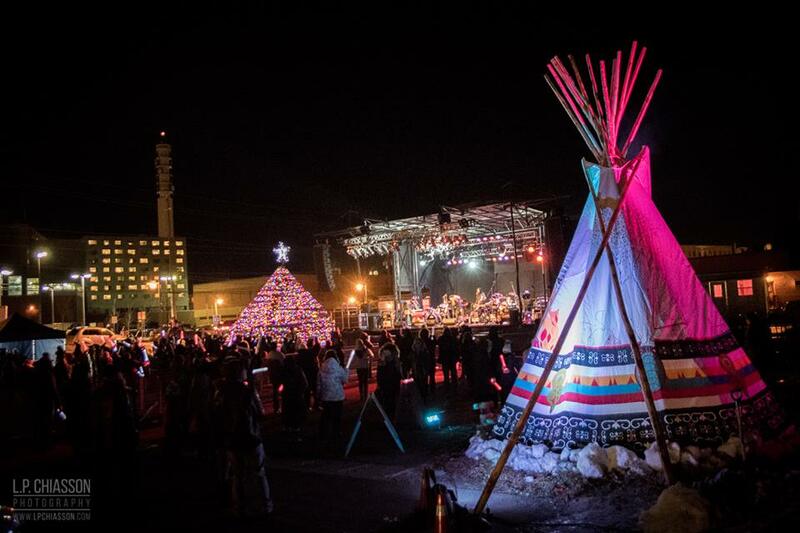 In celebration, the City of Moncton, Festival Inspire, Mosaic, and Acadie Rock are throwing a party for you and the whole family on Moncton's Waterfront this New Year's Eve! With a focus on Aboriginal Reconciliatio, Inspire has had a tipi created by Little Foot Yurts, and commissioned two New Brunswick Aboriginal artists; Tara Francis and Katie Augustine, to paint their story using traditional sacred symbols and petroglyphs. A celebration of storytelling, smudging, prayer, and drumming will take place throughout the event alongside that of others during the Canada Kick-Off to 150 Celebration. 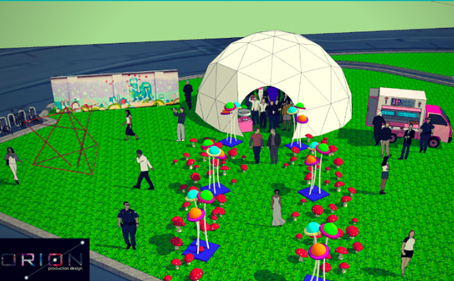 This is a family friendly event with interactive art installations for everyone to enjoy. See you there! About 200 riders joined the Disco Bike Ride in the streets of downtown Moncton to admire the murals in progress and meet the artists from here and far away lands in June 2016 ! Pimped bikes with mirror balls, sequined blazer and 70's haircut were in the streets for an art-filled Disco Bike Ride with lights and music! 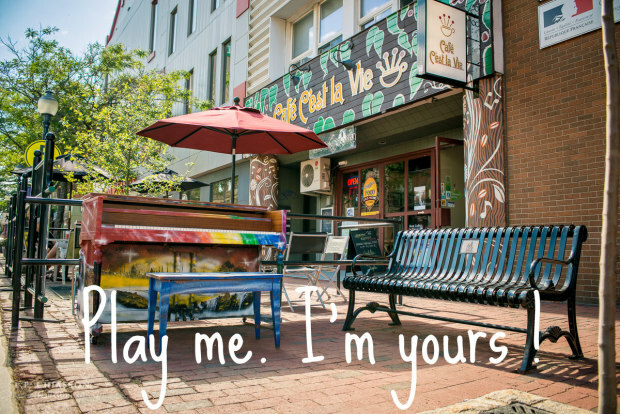 Since 2015 Festival Inspire has given Greater Moncton music in the streets each summer through the installation of public pianos for anyone to play. These public instruments are reshaped, retuned, painted by local artists and placed throughout Greater Moncton's downtown streets and parks for everyone to play all summer long. If you'd like to help with this project financially please contact us to help make it happen!  The Colour Party is the time to launch the first colors on the city... AND ON EACH ONE OF YOU! 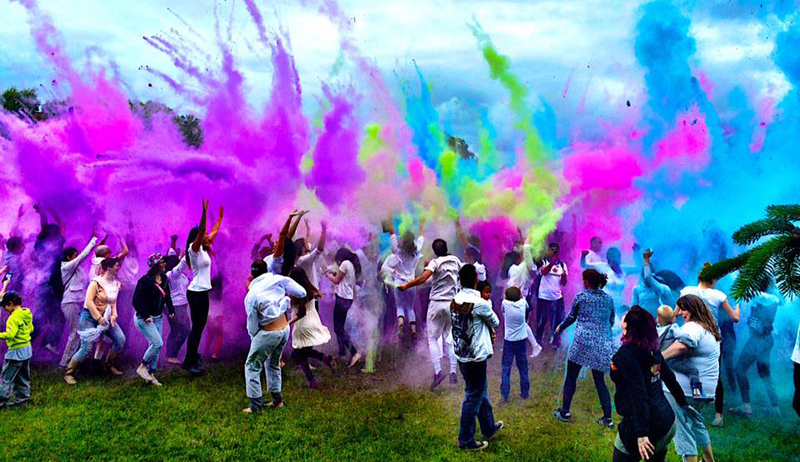 Traditional opening event of the festival, we offer a free colour powder dance party to launch everyone into the Inspire vibe. 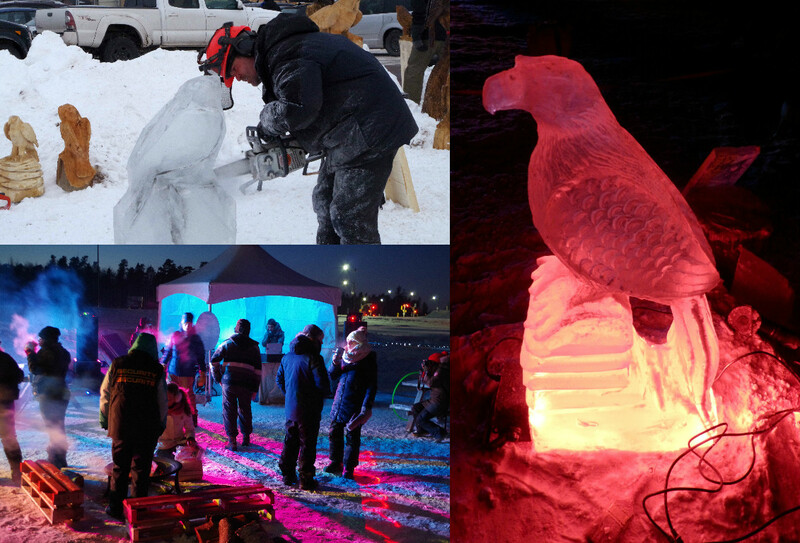 First of it's kind Ice Sculpture Competition in Riverview, a team of Atlantic Canadian sculptors were invited to create a number of magical carvings from 300-pound ice blocks over the course of the day. Visitors to the site have the chance to see the sculptures coming to life in real time and participate in interactive activities programmed throughout the day. This event premiered in 2016 and is coming back in February 2017 by popular demand. A unique day of art and inspiration for everyone at Moncton's Riverfront Park! Two stages of live music, street performances, vendor market, craft beer village, food art, buskers, dancers, live mural painting, Craft Beer Village, vending village with local artisans, circus, fire spinning, buskers, Inspireland: a mini model of Moncton built by BlackWood Artistry so that everyone has the chance to be a muralist! 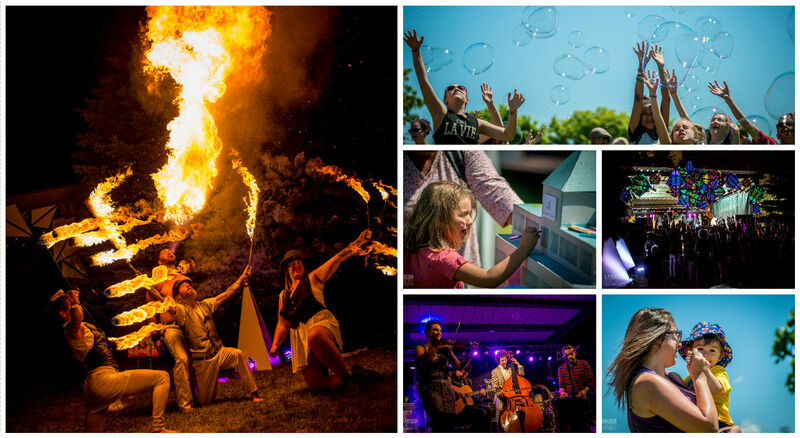 Giant bubbles, face & body painting, dance, and interactive installations ... too much to say! You'll just need to see for yourself! 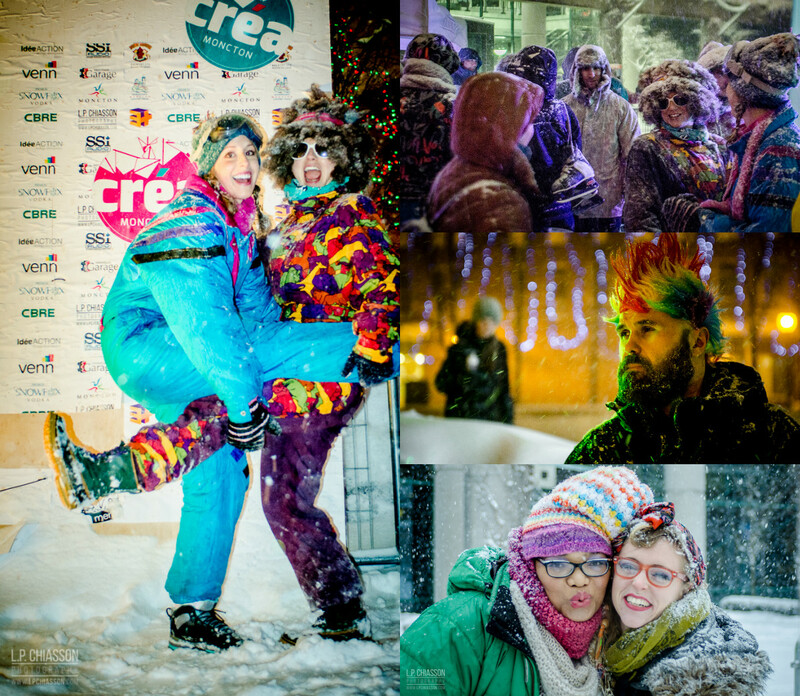 To celebrate the success of Moncton's Créa Project, we chucked a family friendly dance colour skate and dance party in front of City Hall ... in the middle of the winter's biggest snowstorm! The beautiful skating rink outside Moncton City Hall was animated for one night only with music and lights. Those who came out really gave a good show of Moncton's cultural and entertainment vibrancy. 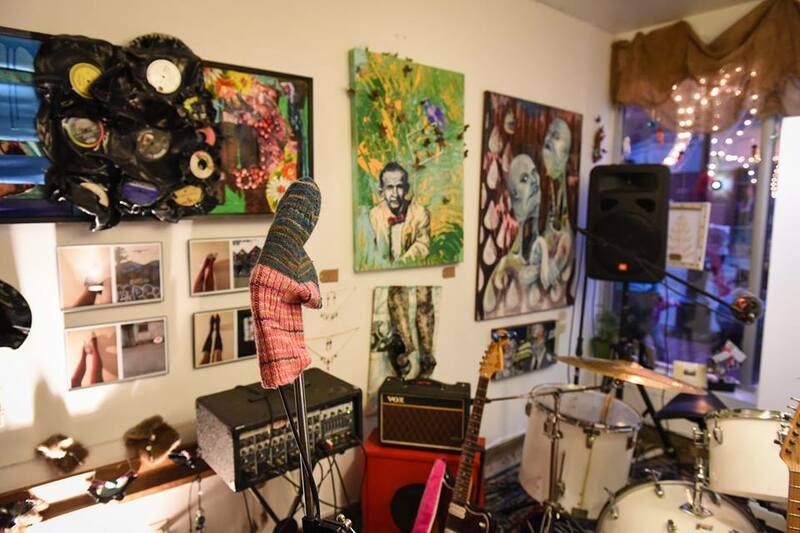 The Créa Project was a trial series of pop-up shops and storefronts along Main Street carefully curated with local entrepreneurs, artist’s studios, and galleries during the 2015 holiday shopping season. The project was born of the desire to fill vacant spaces along Main St. with the aim of re-injecting a cultural heart and shopping culture into Downtown Moncton. It was designed to support local creative business, and reinvent Moncton as the cultural heart of the Maritimes. Although pop-up shops are a popular way for cities around the world to solve the vacant space problem, Créa was the first of its kind in Atlantic Canada. In addition to the pop-up shops, the project also saw the curation of Main St. with the works of local artists in 13 storefronts, adding a rich cultural element to the Downtown Experience. Putting art in our downtown center over the holiday season and giving our residents and visitors a reason to take a snowy stroll and get away from the hustle and bustle of the mall. 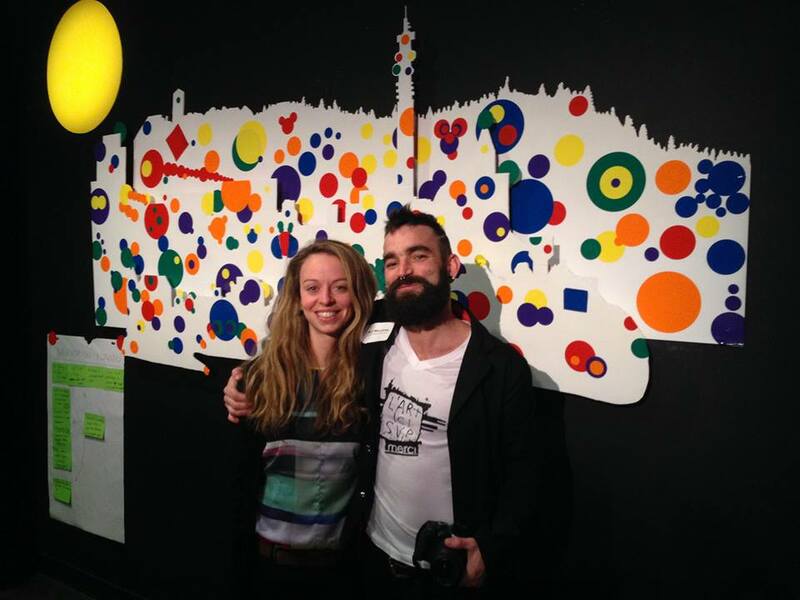 A room full of ideas: L'Art ici SVP was commissioned to give colour and interactivity to the 100 leaders Acceleration Cafe in 2014.